FOX has issued the press release for the second season finale of Brooklyn Nine-Nine, "Johnny and Dora", airing Sunday, May 17. Kyra Sedgwick and Nick Cannon guest star. Jake and Amy go undercover to catch Brooklyn's most notorious identity thief, and the case brings them closer together - very close. Meanwhile, the entire precinct is caught off-guard when one of their own says goodbye, in the all-new “Johnny and Dora” Season Finale episode of BROOKLYN NINE-NINE airing Sunday, May 17 (8:30-9:00 PM ET/PT) on FOX. 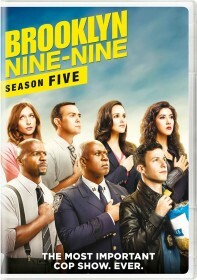 Brooklyn Nine-Nine was renewed by FOX for a third season earlier this year, so don't fret it will be back for another season in the fall.